Barkley speak about his book, In the Midst of the City, and answer questions. Barkley will discuss his new book, In the Midst of the City, and sign copies as part of the 2019 Arkansas Literary Festival. To inquire about Barkley Thompson’s availability for speaking engagements, readings, panels, and talk, please contact Louise Langford at llangford@christchurchcathedral.org. Barkley Thompson will speak about his new book, In the Midst of the City. Houston Chronicle “Gray Matters” columnist Lisa Gray will interview Barkley about his new book, In the Midst of the City. Barkley will speak on a panel with Rabbi Oren Hayon of Congregation Emanu El and the Rev. Dr. Steve Wells of South Main Baptist Church, one week prior to the midterm elections. This event is free and open to the public. Learn more here. Barkley will read from his new book, In the Midst of the City, and participate in discussion. Barkley will read from and talk about his new book, In the Midst of the City. Barkley will read from and discuss his new book, In the Midst of the City. Also, at noon that same day, he will also preach as part of Calvary Episcopal Church’s Lenten Series. Barkley will read from his new book, In the Midst of the City, and be interviewed. In a time when a deep ravine separates progressives and conservatives, it is refreshing to read a compelling book that refuses to accept the alternative. 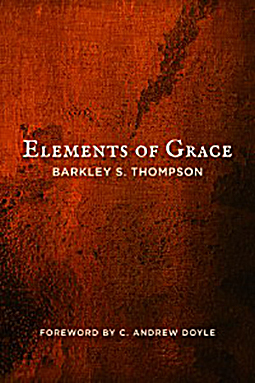 As Christians, writes Barkley Thompson at the beginning of the book, “we must begin with the Gospel and allow the Gospel to shape our politics whole-cloth.” And then, throughout the book, he delivers on this promise, taking head-on issue after issue that divide citizens in the United States. Afflicting the comfortable and comforting the afflicted can be a risky calling. Barkley Thompson demonstrates eloquently how a thoughtful pastor can illuminate controversies of our common life by the light of the Gospel. Passionate, yet disciplined, Dean Thompson employs his knowledge of history, his love for people, and his theological interpretation of holy scripture to engage Christian faith with politics from his place in the midst of the city. This book offers a focus of conversation for parishes and an inspiration and encouragement to preachers. In the Midst of the City: The Gospel and God’s Politics wins a silver medal in the religion category of the 2019 Independent Publisher (IPPY) awards. In the Midst of the City: The Gospel and God’s Politics wins a gold medal in the 2019 Illuminations awards. “Perspectives Urban and Personal: New Books with Local Connections,” St. John’s Episcopal Church site, Roanoke, VA, September 29, 2018. “In the Midst of the City: The Gospel and God’s Politics,” Christ Church Cathedral Bulletin, September 2018.